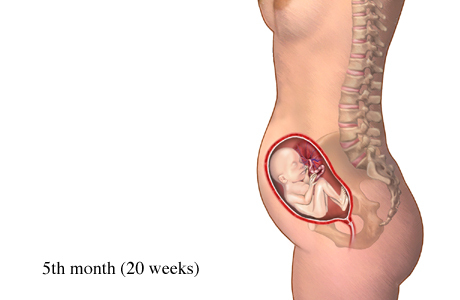 Around the 20 week mark is the most important ultrasound scan, called the morphology scan. It basically checks that baby is growing properly and has all the bits and pieces and fingers and toes it should. AND…. 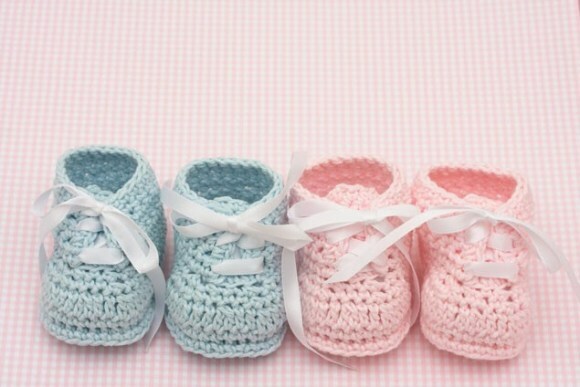 if you want… you can find out the gender! I have been DYING to know whether I have a little boy or girl ever since I found out I was pregnant! Not to mention I just wanted to know bub was ok, as I still wasn’t feeling much in the way of movements yet. I had heard a few horror stories in the preceding weeks, so the night before the scan I barely slept a wink! Luckily the scan was in the morning, but the scan place was running 40 minutes late – torture!! Finally, though, my name was called and it was so worth the wait!! 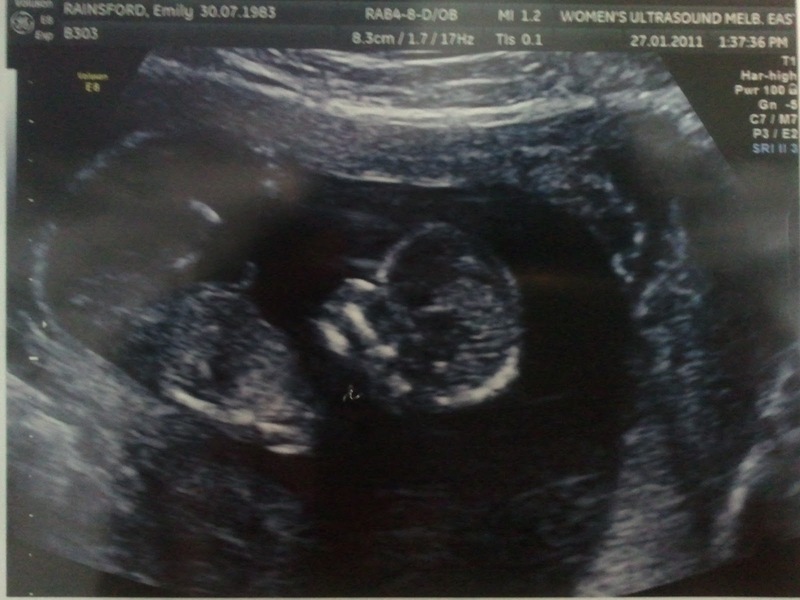 The scan was amazing, all little arms and legs and fingers and toes accounted for and wriggling around! All the structures of the brain were measured and we could see inside the little beating heart – and we even saw little bub taking little gulps of the amniotic fluid, which I thought was amazing! AND… the big question… little bub gave us a nice clear look between the legs and…. A perfect little girl 🙂 I thought I wanted a boy, but ever since finding out she is a girl, I have been totally in love with her. I love that I have a pronoun for her now, it all feels so much more real! She is measuring right on date too – she has been such a textbook baby so far… let’s hope that bodes well for the birth…. and after! 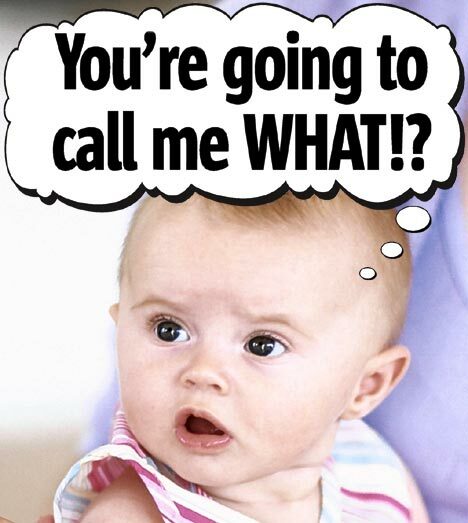 Hopefully not like this – Crazy Baby!! Daddy C and I even came across a girl’s name the night before that we both really liked and it is definitely in the forefront in the name stakes now. I thought we were going to have a lot of trouble picking a girls name as we hadn’t been able to really agree on anything before that – but it turned out easier than I expected! I think we’ll probably wait until she is born before introducing our little girl to the world – just in case she comes out and doesn’t suit our name at all! The thing I find funny is – I hadn’t really been feeling movements before the scan, just the odd niggle about once a week. Even during the scan she was going to town with the wriggling and I couldn’t feel a thing. 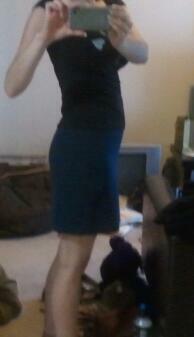 But ever since the scan I have been feeling movement everyday, multiple times a day. She even seems to have a little cycle, movements are mostly in the morning before morning tea, sometimes in the afternoon, and then in the evening again. They are mostly little niggles rather than big kicks (I guess her feet are still pretty little and her cartilage is only just turning to bone now) but it is always exciting, I absolutely love it. I’m not quite at this stage yet! It’s very exciting to know that my little girl is growing and getting active in there! 12 weeks 3 days – My Wriggly Little Bean! This morning was the longest morning of my LIFE!! My scan was scheduled for 2:30 pm. I was SO anxious! What if something was wrong… what if nothing was there and I had been imagining it all?? EVENTUALLY the time finally rolled around and I was lying on the doctors bed with jelly on my anxiety-makingly flat tummy. 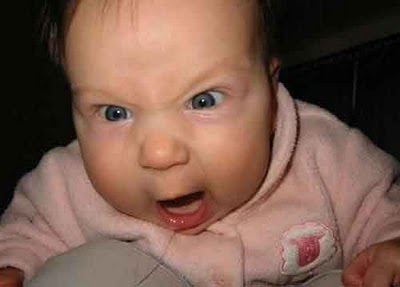 … the doctor put the probe right on the exact spot where I had felt the sensation and there was my baby!! Little arms and legs all moving around, nice strong heartrate of 154 bpm. We saw the brain and stomach and bladder – and the risk of Downs is ridiculously small at 1:13700! 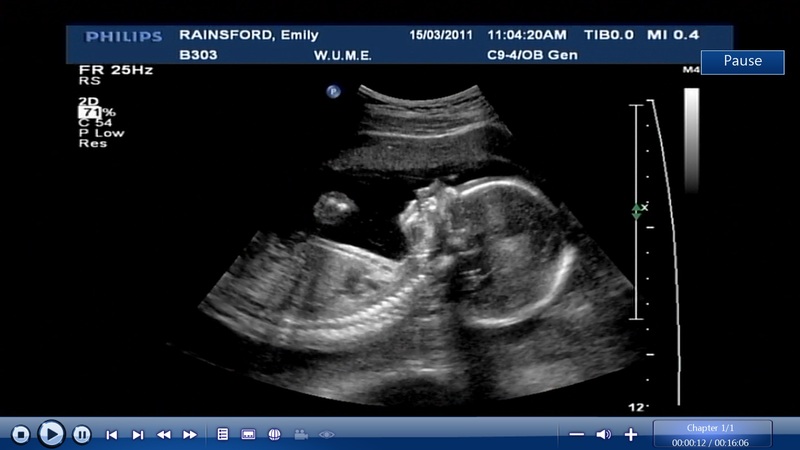 It felt so surreal seeing it on the screen… there is actually a baby inside my abdomen! Now that I am not feeling sick anymore but my tummy is still barely showing, it has felt so unreal… now I look down at my tummy and have the images of that little bean in my head and know it’s really in there! Judging by the size of baby, the doctor put me at 12 weeks 3 days – which is only 2 days off the original estimate, making my due date around August 8th. 12 week belly – there’s a baby in there, honest!! And a little backwards mathematics teaches us all an important lesson… copious quantities of beer, pizza and playstation are not a contraceptive. Consider yourself warned! 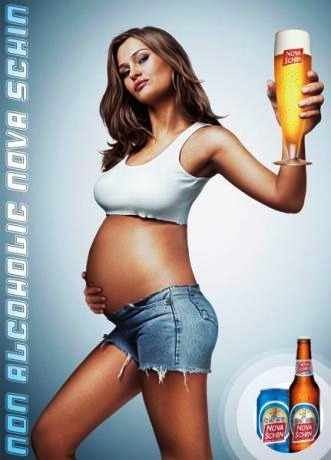 Pregnancy – The Ultimate Beer Belly?